The Missouri State Medical Association recently awarded scholarships to 10 students at the UMKC School of Medicine for the 2018-19 school year. 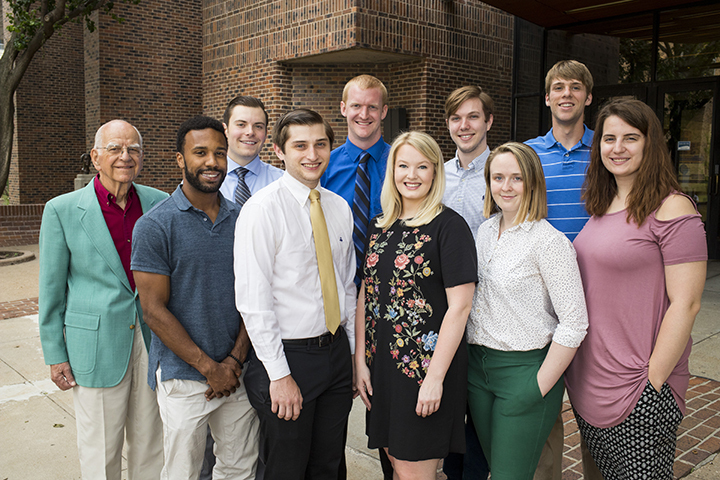 This year’s School of Medicine recipients are Keaton Altom, Rico Beuford, Paige Charboneau, Austin Harris, Robert Johnson, Madeline Klaesner, Samuel Maples, Elizabeth Robin, Adele Souter and Dylan Schwindt. Scholarships are given annually to fourth-year medical students who are graduates of a Missouri high school. Missouri physicians formed the MSMA in 1850 to serve as a voice for the medical profession, physicians and their patients. The organization includes a Medical Student Section that addresses issues important to students of Doctor of Medicine or Doctor of Osteopathy degree programs.